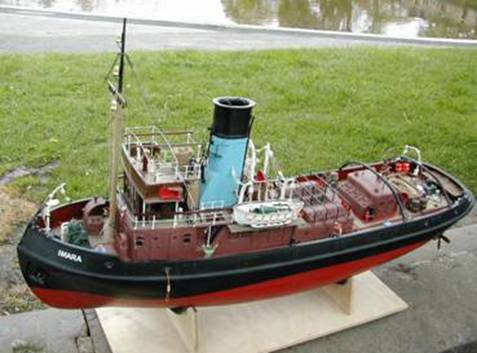 Boats and ships of all kinds are made by members, mainly radio controlled battery operated and some steam driven as well as a few yachts. 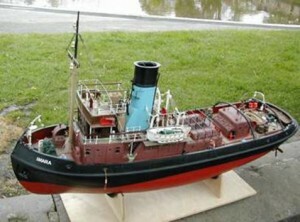 After the recent fire at Bradford Moor Park the marine section have now found a new place to call home at Wibsey Park. The Council have been very helpful in finding a suitable place to continue sailing and thanks are also due to the other users of this park for letting us move in with them. The Sunday morning sailing will hopefully be back in full swing very shortly as everyone settles in. 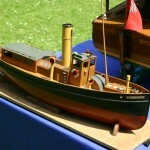 There is a great deal of expertise within the boating section and any prospective modellers would do well to go along and avail themselves of the facilities. Help and advice is always readily given. There are also several projects that the boating section have developed that are great for first time builders to have a go or even some of the more experienced can have a go for a ‘bit of fun’. 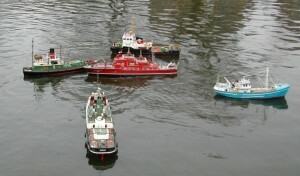 These included pop-pop boats made from milk cartons and straws powered by a candle and the ‘footie’ sailing boats where you can compete against other members to get around a course. If you would like any more information on our marine section then please contact us.